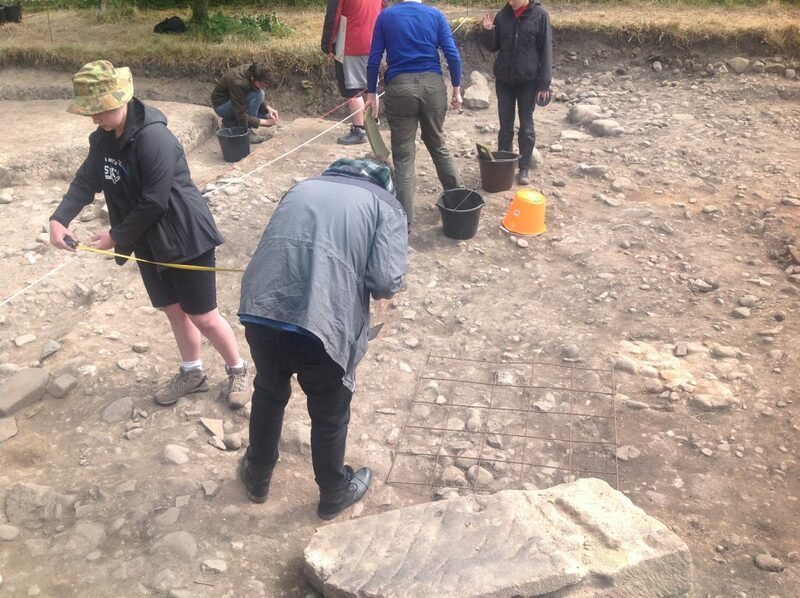 With the first week of Ribchester Revisited’s 2018 season coming to a close, the trench is bustling with activity. 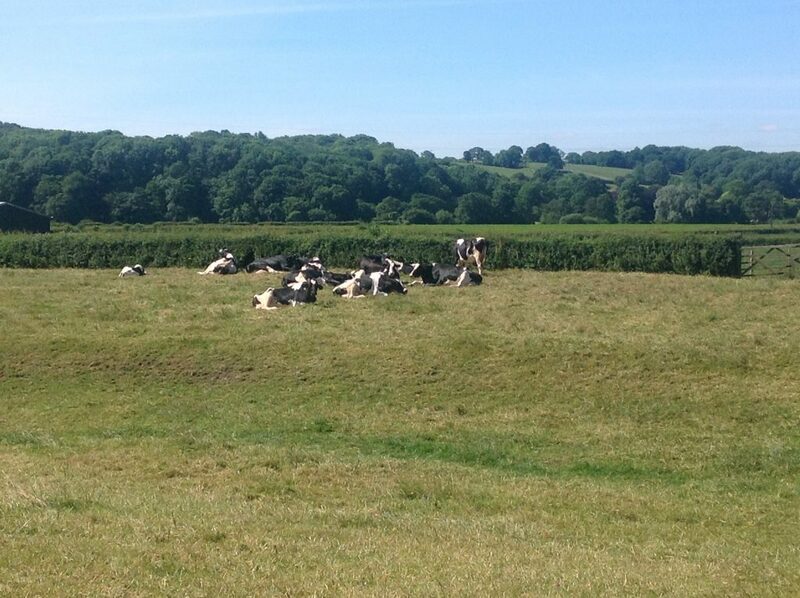 The team has grown used to camping next to the neighbours – a herd of rather boisterous dairy cows – and waking to the early morning cacophony of bird calls from the hedgerows. 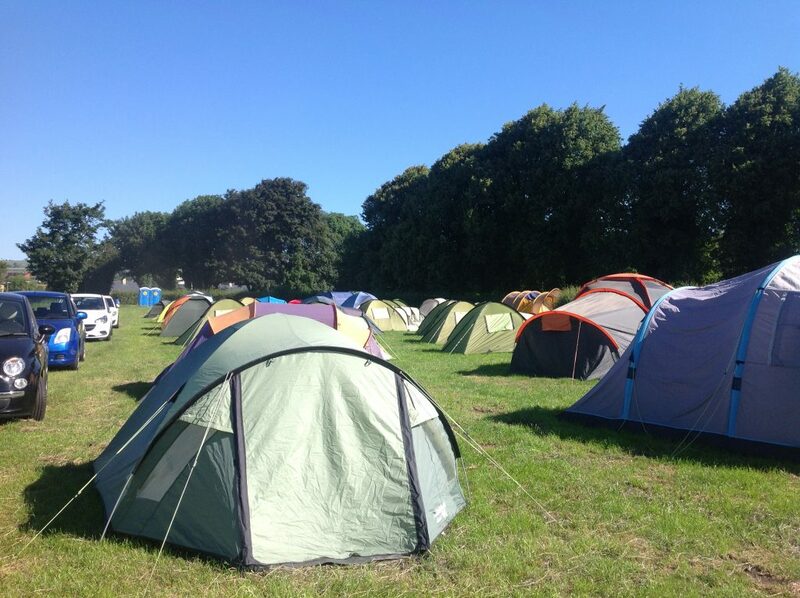 Thus far, no tents have been lost, despite a few windy nights, and most of us have managed to stay dry. The number of sunburn victims has remained low thanks to Jim’s hourly reminders to apply sun cream. The team exploring the workshop area on a sunny morning. To the southwest, new post-holes have been unearthed as stones were removed. These could indicate that the workshop occupied an area larger than previously thought or point to an additional separate structure. The mysterious area between the road and the guardhouse. Within the walls of the guardhouse, several stacked layers must have each context recorded in detailed plans before being carefully trowelled back. As we go deeper, we may begin to see earlier phases of construction. Team members in the northern ditch of the fort. Just over the wall from the ditch is the large clay slab mentioned in the previous blog post. It is now thought that it is what remains of the rampart leading from the inside of the fort to the wall. Extensive excavation is soon to take place in the area in an attempt to uncover evidence of the earliest timber phase of the fort. Home sweet home? Tent sweet tent! Our neighbors, the party animals. A new year of digging means that long-standing questions can get answered, but it also creates new mysteries. 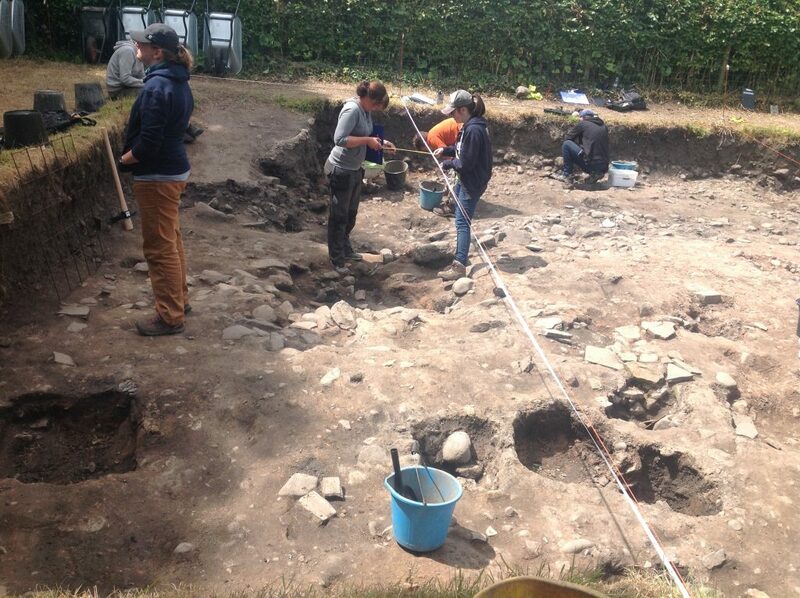 Southeast of the road that runs east to west through the fort, the archaeology uncovered is shaping our ideas about occupation at the site in the post-Roman era. 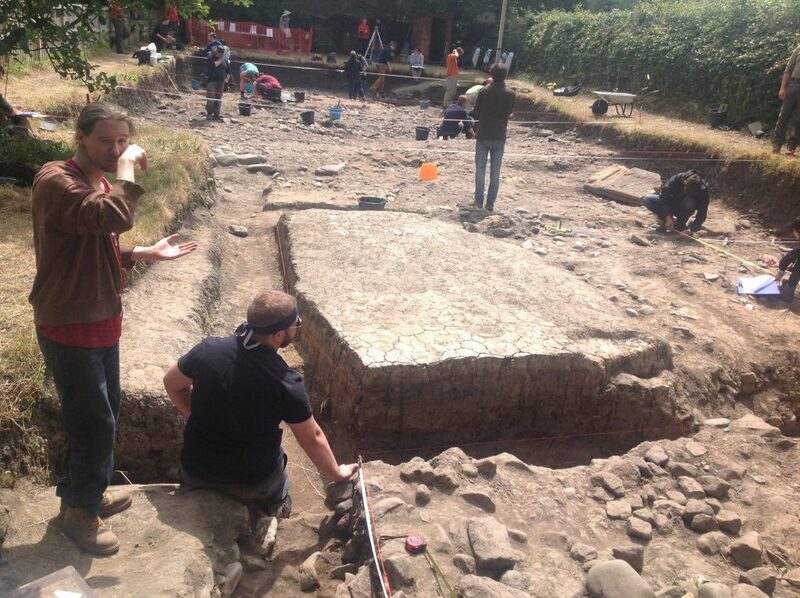 There is evidence of a structure, possibly a workshop with signs of metalwork and glass production. 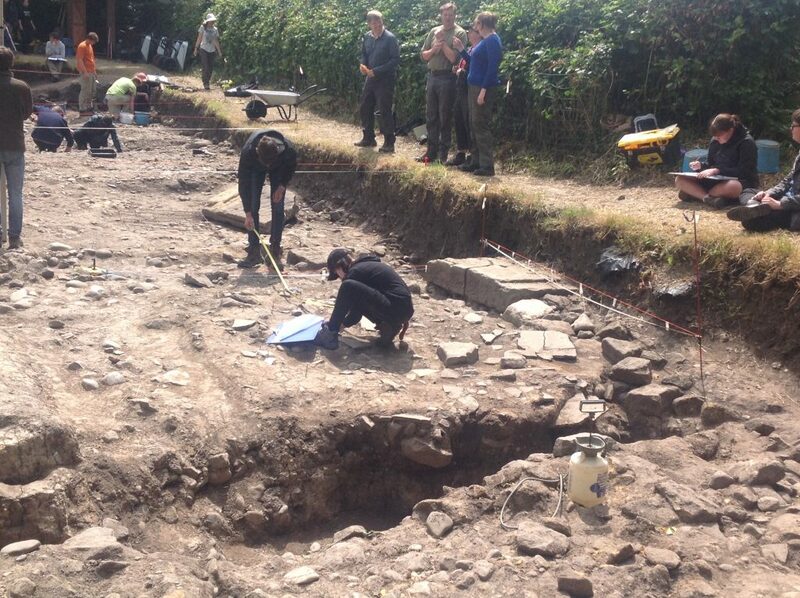 With many layers to get through, each being carefully recorded, excavation of the space is ongoing. 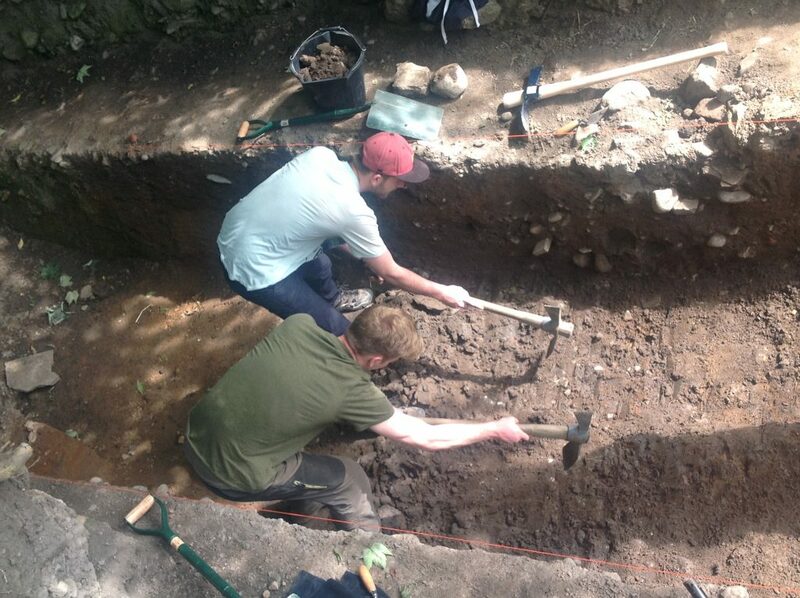 Two team members excavating the new post hole. North of the road, many of the questions being asked involve the fort’s defences, including one of the northern gate’s guardhouses and the wall, rampart, and ditch. Between the guardhouse and road, a rather ambiguous area has been planned and prepped for excavation. Argument persists over what exactly the space could be, but further searching may soon provide an explanation. Careful planning is taking place on the guardhouse floor. At the northernmost end of the trench, a team is hard at work removing soil from the first of several ditches that radiated out from the walls of the fort. They may have reached the same natural layer of clay the Roman soldiers dug into when first constructing the fortification. The clay rampart, where it would have risen towards the wall. And so we have one week down, and three more to go. 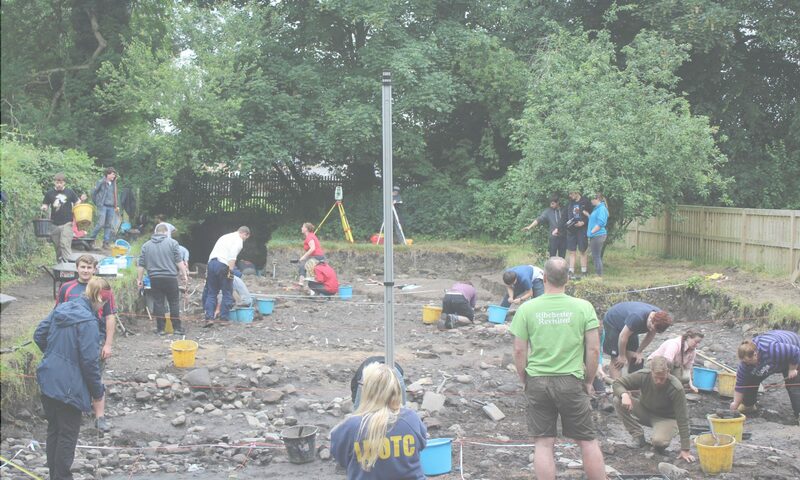 With the first days of the excavation come and gone, work has begun in earnest, and the archaeologists are eager to chase down some of the many questions Ribchester Revisited seeks to answer. Tea consumption is at an all-time high, and a potentially disastrous chocolate biscuit shortage has been avoided thanks to a timely grocery delivery. 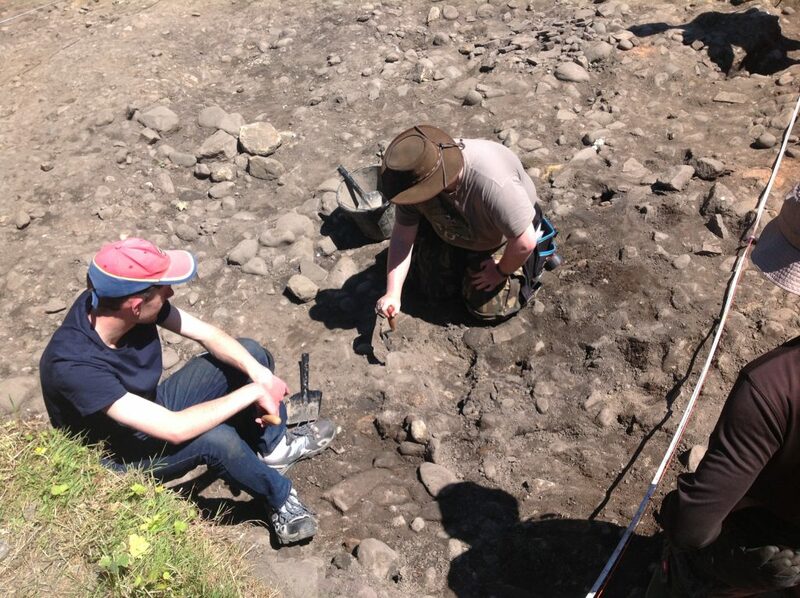 Public tours of the site have started, and we have been visited by many schoolchildren and adults alike. The current number of dogs that have toured the trench is 10. Next PostNext Ribchester Revisited mid-week 2, feeling hot!